​Creating stage and supporting live artistry in our midst. John Kossler started his guitar studies through the Suzuki Method with his father, William Kossler, at the age of four years old. He eventually attended the North Carolina School of the Arts in Winston Salem, North Carolina, studying under Joseph Pecoraro. 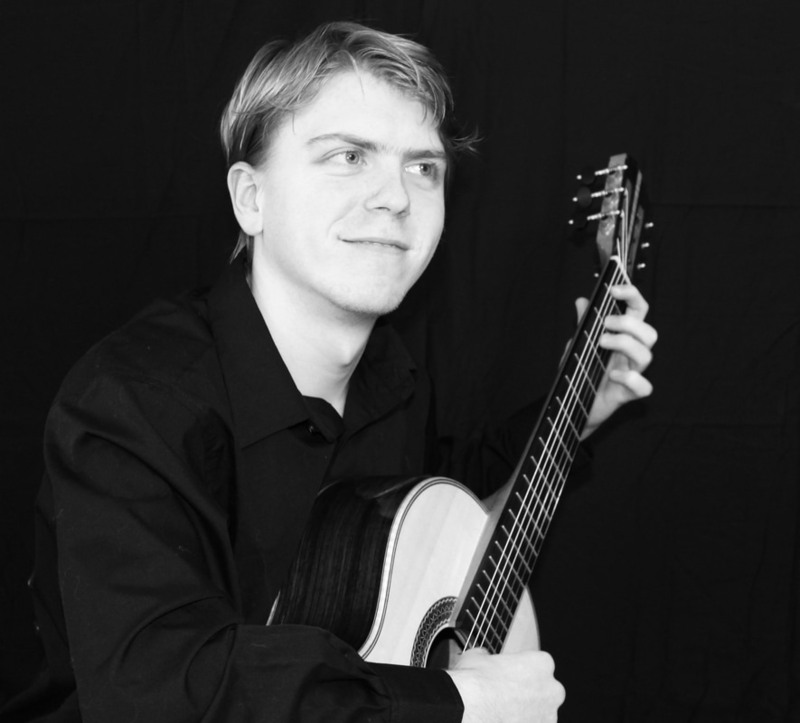 Placing in competitions such as the ECU Guitar Festival in Greenville, North Carolina, the Young Arts Festival in Miami, Florida, and the Music Academy in Greensboro, North Carolina, John then attended Wake Forest University, studying under Patricia Dixon. During his education at WFU, he performed in Europe in cities that include Milan, Italy and Postojna, Slovenia. He has also won the New York Artists International Competition for 2016, performing at Carnegie Hall. John has just finished his Masters of Musical Arts degree in guitar performance with Ben Verdery. Along with writing and arranging music, he currently teaches and performs throughout the country. Philippa Michaels, currently an 8th grader at Duke School, has played the piano since she was four, with the late Greg McCallum and Mimi Solomon as her teachers. A first prize winner at several regional and statewide competitions, Philippa enjoys both solo piano and chamber music, the latter frequently at MYCO. Currently, she is working on her eighth grade project, where she compares Bach’s Well-Tempered Piano with Chopin’s 24 Preludes and Shostakovich’s 24 Preludes and Fugues. When she does not play the piano, Philippa enjoys reading books and fencing. Sky Miller, a native of Durham, is a 9th grade student at the Durham School of the Arts where her favorite subject is Honors World History. In addition to taking several honors classes, Sky is very involved in other activities. She plays the violin and was recently chosen to participate in Durham County's Honors Orchestra. She is also a nationally ranked saber fencer where she is number 30 in the country among the Cadet group (aged 15-17). This past March she competed in the Poetry Outloud contest and was named the District Champion. Involvement with Poetry Outloud opened the opportunity for Sky to discover enjoyment of the recited word.